I’ll have to get an up-to-date computer by mid-2008. Because of my artwork? Well, yeah. But that’s not why I have a deadline. The reason is that there’s going to be one of those Massively Multiplayer Online games based on Lego. The more that I hear about it, the cooler it sounds. How cool? To the point where I actually give a crap about a MMO game, something that I’ve never cared about until this. 1.) I may not play it unless I can be a ninja, Futuron, Blacktron or Classic Space guy. Maybe a Skeleton, but only if I can carry Harryhausen-approved weaponry. 2.) I won’t play it if other people can wreck up your Lego joint like I heard people can do in the Nintendo DS version of Animal Crossing. 3.) 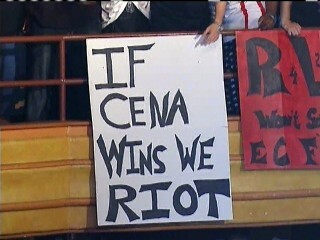 If Cena wins, we riot. While I’m at it, here’s something that I meant to post a long time ago. It’s a modified version of the old Blacktron Meteor Monitor. I’ll have more pictures of this at a later date. Before anyone blows a gasket about it, I covered every brick and plate stud that I could and I added propulsion to it. 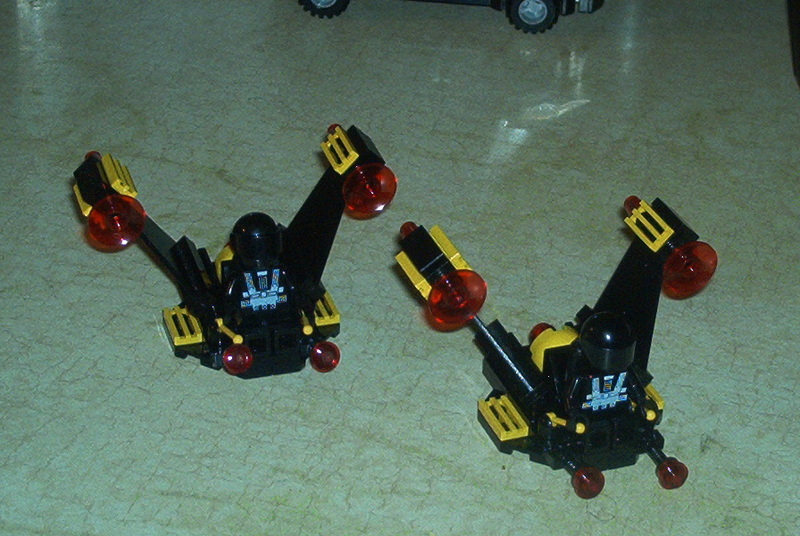 Thanks to a lot of great Bricklink sellers, I have a small Blacktron army. I know I keep promising to post more Lego pics, but I’ll get around to it. Eventually. Maybe.